A rug “hook-in” will be meeting Friday March 6 from 10-2. This is not an instructional class, but a gathering of rug hookers and those that want to learn how to hook. I have reserved the classroom for the first Friday of each month. The cost for the room is $10 a month to be split evenly by the number of hookers who attend that month. We will meet at Prairie Stitches Quilt Shoppe. 72 Main St. Oswego, Il. at 10 and then go over to the classroom. Class fee Included in Woolkeeper’s Woolies Club. This 6" x 12" July banner celebrates the Land of Liberty with hand dyed and textured wools in red, white and blue. This banner can be displayed anytime of the year. Ric Rac included in the kit. Banner class this Sunday, March 8 from 12 p.m. to 3 p.m. at Prairie Stitches Quilt Shoppe. 72 Main St. Oswego,Il. Woolkeeper Banner kit is required if attending class. Class fee included in Woolkeeper’s Woolies Club. 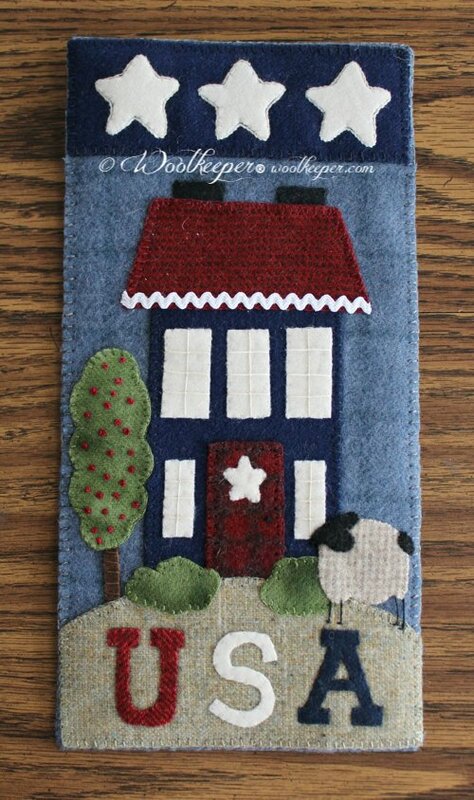 Stitcher's will meet Saturday, March 21st from 10 a.m. - 3 p.m. We will be doing mainly hand stitching on wool and/or cotton. These will be Make n Take type projects. Materials kit purchase will be required if attending. We had a wonderful time last month with a full house of stitchers. We made a spring wool appliqué mat and a strawberry pincushion along with lots of conversation, sharing and laughs. Class fee included in Woolkeeper's Woolies Club. 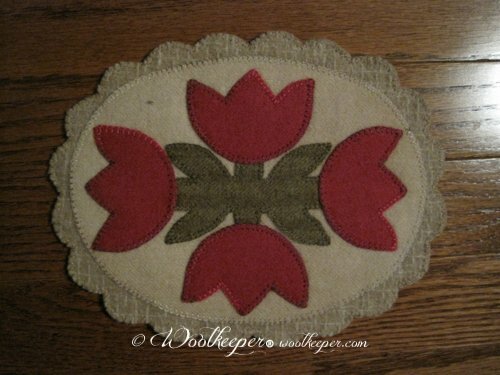 This 7" x 9" scalloped edge, all wool appliqué mat stitches up fast and easy. 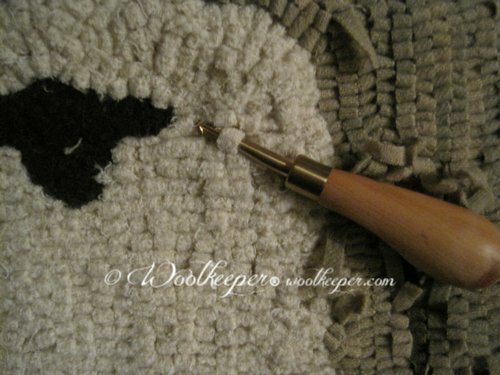 Hand dyed and textured wools combine to make this sweet and simple mat. 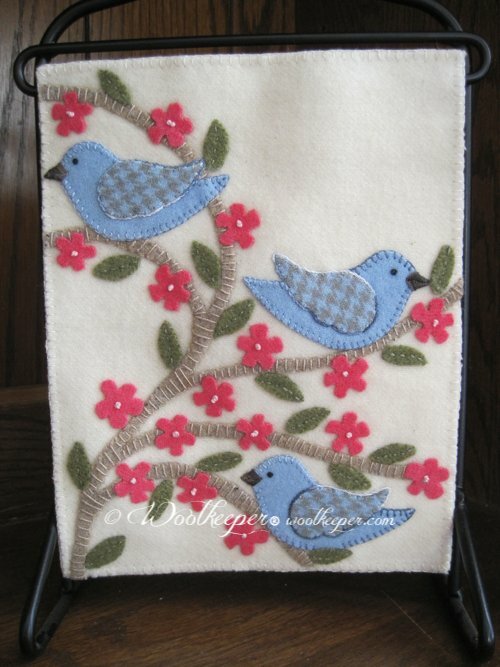 This 7" x 9" all wool appliqué banner celebrates Spring- The Season of Awakenings. Beautiful hand dyed blue wools are used for the birds and hand dyed watermelon pink for the blossoms. 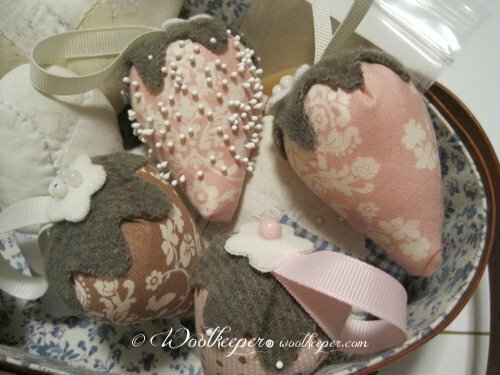 Kit includes wool backing. 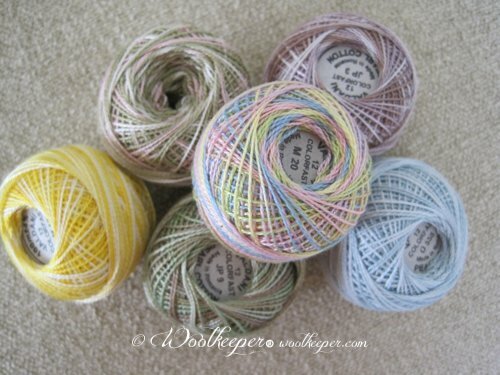 Thread, Thread and More Thread! I will be putting over 300 balls of Valdani in the chest this week. Another 300 is on the way. A lot of new colors in this shipment.